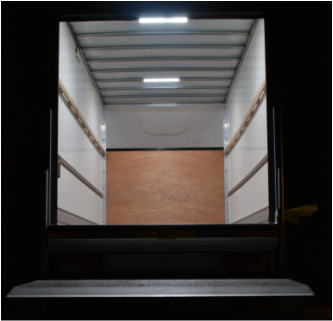 "Absolutely brilliant lights, cannot recommend highly enough"
"What a difference - Luton van lit up like xmas tree!" "Best product I have purchased this year Absolutely perfect Company, 100%"
"Outstanding. Excellent quality, excellent value, terrific service.Delighted." ​"Excellent service. Best thing bought for my van. I recommend these." "Excellent delivery/packaging. Just what I was looking for." "Prompt delivery and high quality goods, very highly recommend!" "These lights are unreal for how bright they are and how compact the led cell is"
"VERY FAST delivery & great packaging.Item as described. Thanks a lot! A++++++"
"Excellent product and fast delivery what more could you need A++++"
"Great product, very fast service, brilliant customer support & communication." "Stunning piece of kit super Fast shipping A++++ for communication superb!" "To other viewers just get on and buy these lights (AMAZING)"
"The back of my van lights up the whole street when I open the doors, fantastic item 100% recommend!" "Great bright light, the two clips can be fastened the the light just clips in. Sturdy design"
"Nice bright light, light up my porch really well. Highly recommended." "Super, the inside of my van now looks like Blackpool illuminations. Delighted." 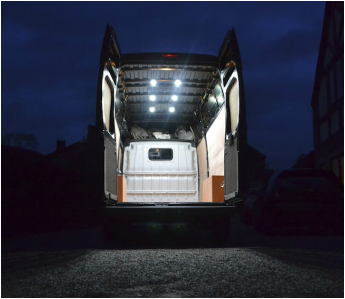 "Fantastic replacement for mk6 transit lights, lights up the back brilliantly!" "Bought two of these to light a 6m x 9m marquee. Wasn't sure if they would provide enough light but it was as bright as day in the tent!!!" "I am very happy with the build quality, ease of fitting, and the performance of the LED's. It has made a huge improvement, and I would recommend this strip light to all."